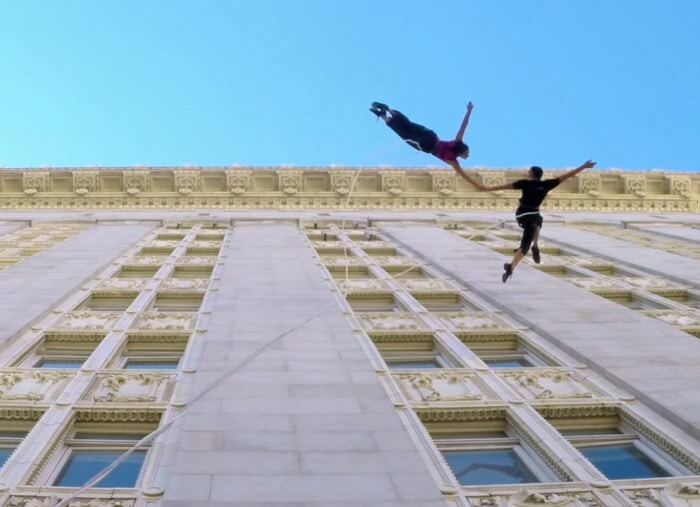 This incredible aerial performance by Bandaloop Founder and Artistic Director Amelia Rudolph and company dancer Roel Seeber showcases some perspective-shifting choreography on Oakland, California’s 18-story City Hall. As a part of the Art + Soul Festival, the pair gracefully used their safety equipment to look weightless as they ran, leapt, and swung across the face of the building. In the archives: more dance, more tricks, and more circus arts of all kinds.